Sabbath May 20, 2017 Pastor Ji Sung Bae from Korea, founder of the 1000 Missionary Movement came to Nusa Dua SDA church for the third time, his last visit to this church was about 10 years ago. At sermon Pastor Ji talked about Unlimited Challenge. He started off with the true story of a young man who put his dream into a list of 120 items who managed to achieve about 90 percent of his dreams, one of them was to visit the moon, which he did. This man when he was young he used to go to his grandmother’s house where he heard his grandmother and aunt many times talked like “If I were young I would do this, that, this and that….” He didn’t want to grow old and talking like his grandmother and aunt so he made his list of dreams and achieved most of the things he put in that list. Many people and many Christians live without a dream, and many don’t realize that God the Almighty is pleased and able to help us make our dreams come true. Carpenter bee is the kind of bees that have big bodies and small wings. 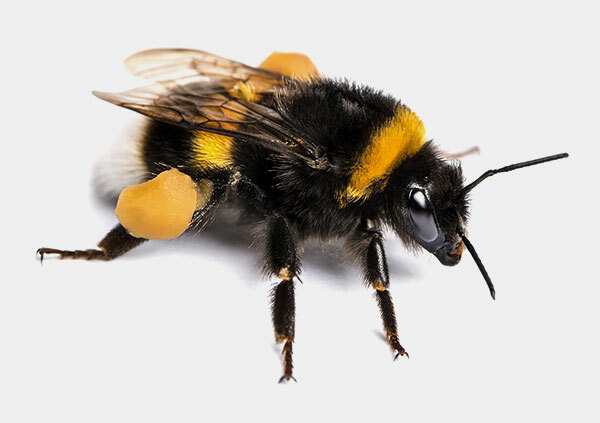 Scientists studied how these bees can fly, their scientific studies concluded that these kind of bees cannot fly. But they fly, because they do not know that they cannot fly. If only Christians have the kind of faith these bees have, they should be able to achieve anything in life. King David was small in figure when he was young. But he said to king Saul not to worry about him, that he will be able to conquer Goliath (the toughest enemy soldier with huge body and well trained for warfare). David took five little pebbles and swing it with his sling to hit the forehead of the giant soldier. David didn’t hesitate as he approached Goliath, he ran to him and everybody knows how the story ended (1 Samuel 17). Life if full of challenges, we human are full of weaknesses and limitations, in addition to being mortals. But we know that we have God, the Almighty God, the One who created the whole universe, the source of life and salvation, our refuge, the King of all kings. Nothing, nothing is impossible before Him, if only we can live fully according to His commandments and will, then the challenge is unlimited. Later in AY hours Pastor Ji talked about bible meditation. The Israelites were fed with Manna during their journey in the wilderness. Manna was poured down at dawn before the sun rises. Everyone was allowed to collect Manna according to his/her portion and also for his/her family members. We should read the Bible everyday, ideally early in the morning as we come out of our beds. Spend a quality time reading the Bible, ask intelligent questions to yourself about what you read, and live them out in our daily life. Among the things a good Christian do include prayers, Bible reading, and Witnessing.